STRAIGHT FROM THE DEVS: Publishing label No More Robots and developer RageSquid today revealed the Descenders: Test Sessions, allowing players to check out upcoming mountain biking game Descenders for themselves for the first time before the full public release. 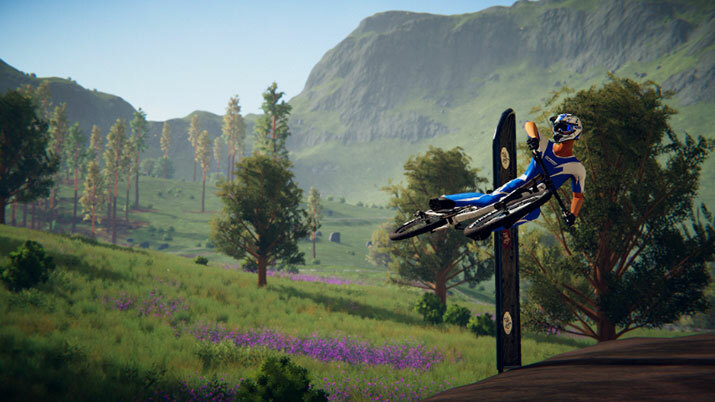 Announced earlier this summer, Descenders is extreme downhill freeriding for the modern era, with procedurally generated worlds, and where mistakes have real consequences. The Reveal Trailer has already had more than 500,000 views across YouTube and Facebook. The Test Sessions Weekend, running from October 27-30, will give players a glimpse into how Descenders feels to play, and allow players to provide feedback on their experience, which will in turn help shape the final game. Test Sessions participants will be able to pick a team, explore the overworld, and then compete across a number of procedurally-generated Descenders worlds, climbing the leaderboards, unlocking bikes and gears, and perhaps finding a secret or two. Players can sign up for the Descenders Test Sessions right now, by going to the official Descenders Discord Channel at http://discord.gg/Descenders, picking a team, and hitting the Beta Signup link. Descenders is being developed by Dutch studio RageSquid, and published by No More Robots, the new British publishing label from Mike Rose, with funding from creative industries fund nl, and sound design from Power Up Audio, best known for their work on titles like Crypt of the Necrodancer and Towerfall Ascension.